If you throw loud parties, or live near someone who does, there is no better time to consider etiquette. Your neighbors have a right to peace and quiet just as much as you have a right to have a good time. And you never know when you may be on the other side of the fence, wishing for your own silent night. Remaining in good standing with your neighbors prevents discord and will assist if you find yourself at the border of crossing a line once in a while. And though you wouldn't want to intentionally make yourself and your gatherings a nuisance, it can happen if you aren't aware of the expectations of your neighbors and the unwritten rules of your neighborhood. These are a good starting point when planning a party. 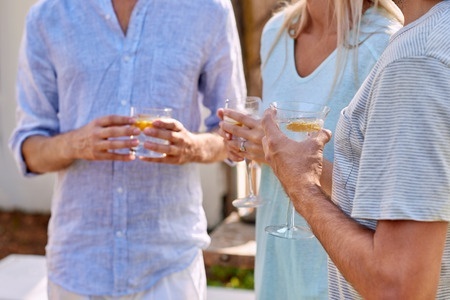 Aside from knowing how to appropriately host a party as related to your guests, your neighbors will need to be considered in your plans as well. What lessons have you learned from previous parties that may help in planning this one? What are your community's rules and laws regarding loud parties? Does your neighborhood have parking challenges? How will you handle this while being lawful and considerate? Will your party be inside or outside? Both? Will it extend into the night? Where will the music and speakers be located so as to be least disturbing? Do you know your neighbors personally? Will you invite them? 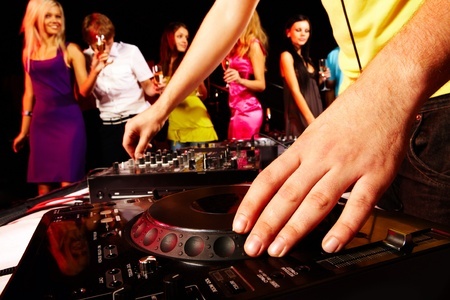 How will you alert your neighbors about your party - and the potential for noise and a crowd? Do you know what to do if the police come to your door? Here are some tips. Once you've answered the questions above, you will have a better idea of how to approach your neighbors. People like to be in the know, so this is an important step in maintaining neighborly relationships. Make sure you give them fair warning. Let your surrounding neighbors - or any that may be affected by the noise or street parking - know about your party a few days to a week ahead of time. If you don't know your neighbors, and aren't comfortable knocking on their doors, a friendly note tucked under a door can work. Be sure and include your contact information. If your party extends late into the night, bring everyone inside. You may need to appoint helpers to make sure there aren't any wanderers. Lower the volume on the music as it gets later. Neighbors will appreciate your consideration, even if they can tell the party is still ongoing. What if your neighbors aren't pleased about the potential party noise when you notify them of your gathering? Try and compromise. Ask what about your party would most disturb them and be willing to work with it. For some people, it's the noise. For others, it's the crowd or parking issues. 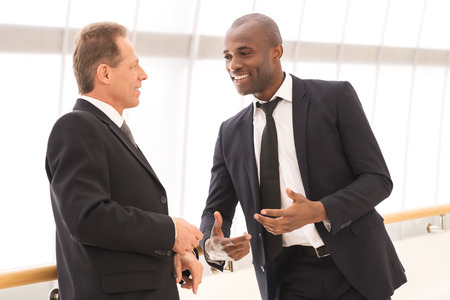 If you approach the issue with empathy and a willingness to ease the disturbance, you'll definitely find it easier to negotiate a positive outcome than if you become defensive. Unfortunately, there are times when you learn that no one in your neighborhood is willing to tolerate loud parties. Good thing you have a back-up plan that includes a different venue! Perhaps you find yourself on the other end of the spectrum. Your next-door neighbor is having a party and the noise has become unbearable. If you have a phone number, try calling. Or if the conditions are right, go over in person and kindly ask them to lower the volume of the party. However, if things seem out of hand or unsafe, call the police and give them the address and a description of the disturbance. Be ready to give your name or officers may not visit, though the call will be recorded. If your party goes well, show further consideration and thank your neighbors for their patience and understanding. For that neighbor who was so tentative about your party, but was willing to compromise, go a step further and deliver a token thank-you gift or card. If things don't go so well, either as a host or neighbor, peace needs to be re-established. As the host, you should reach out with a phone call or visit to apologize for the disturbance. Even if police were called, an apology is still in order. Ideally, neighbors are tolerant of each other, or have enough in common that they don't find fault with another's choice of celebration. Getting to know your neighbors, and showing respect for them, will be a help in reaching this level of understanding.